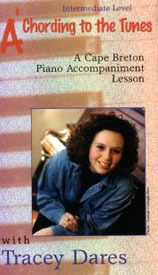 Beginning with an introduction on grace notes and bowing and followed by the teaching and performance of five traditional tunes, this one hour lesson highlights some of the technical aspects of the Cape Breton style while providing a mini-repertoire. Video features: On-screen musical notation, Close up views of the fingerboard, Performance of tunes, techniques at slow and regular tempos, 8 page booklet includes musical notation for the music being taught. Over the past number of years, the stylings of Cape Breton piano accompanists have become familiar to people all over the world. 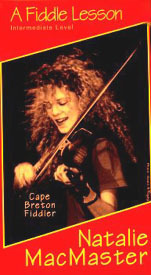 Tracey's unique approach has become popular through touring and recording with Natalie MacMaster,Paul MacNeil and others. She is also well known as a soloist. 8 page booklet includes notation for the tunes being taught. 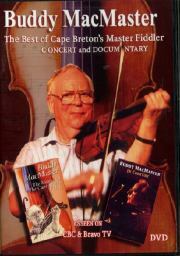 Beginning with an introduction on grace notes and bowing and followed by the teaching and performance of five traditional tunes, this one hour, intermediate level lesson, highlights some of the technical aspects of the Cape Breton style while providing a mini-repertoire. Now available a DVD, this video features: On-screen musical notation, Close up views of the fingerboard, Performance of tunes, techniques at slow and regular tempos, 8 page booklet includes musical notation for the music being taught. Documentary film maker Peter Murphy gives us a non- touristy, natural presentation of life in Cape Breton ... over an hour of music, scenery, interviews and more. 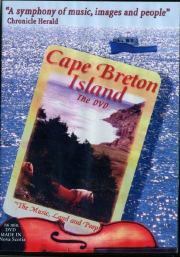 Created in the early 1990s this film features some of Cape Breton's finest musicians. 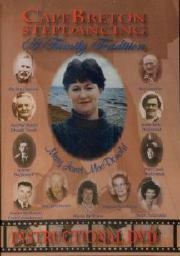 As well there is a reading from author Alistair MacLeod, from poet Rita Joe and also songs from Gaelic and Acadian singers. Originally produced for CBC and Bravo TV networks as two separate shows, documentary film maker Peter Murphy has compiled close to 2 hours of concerts, dances, sound recordings and informal footage giving us a true taste of both the man and his music.